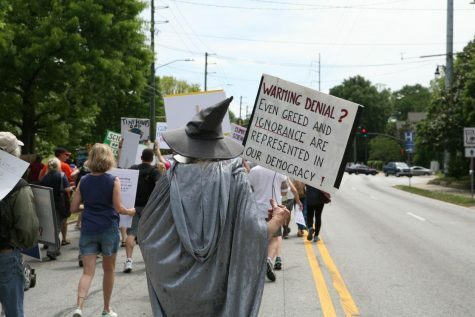 Marchers turn onto Euclid Ave in Candler Park carrying signs supporting environmental friendly policy. Some marchers took a more political stance, carrying signs reading supporting Jon Ossoff. 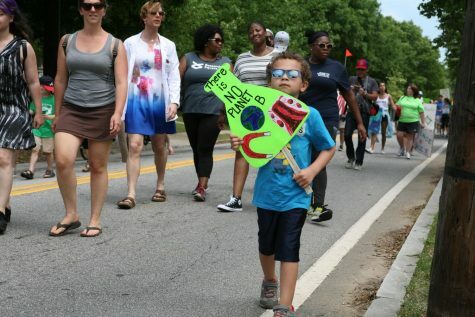 On April 22, 2017, Atlanta residents marched in the Candler Park neighborhood to promote environmental preservation in honor of earth day. 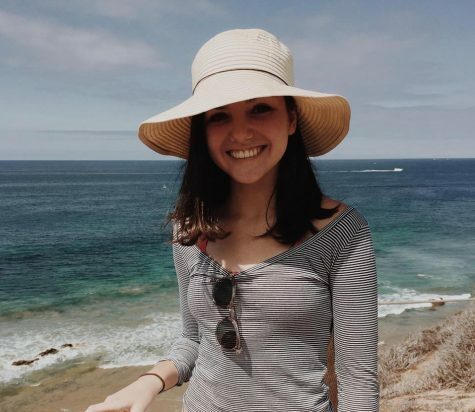 The new presidential administration has sparked controversy with their stance on climate change, many believing that they are not making necessary efforts to preserve the environment. 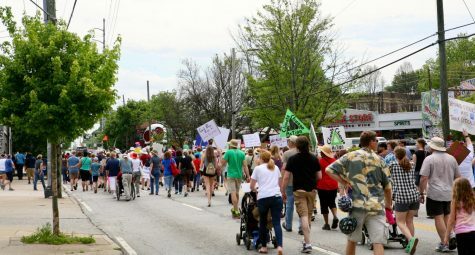 The march started in Candler Park and made its way to Moreland Ave before ending with a rally back in the park. 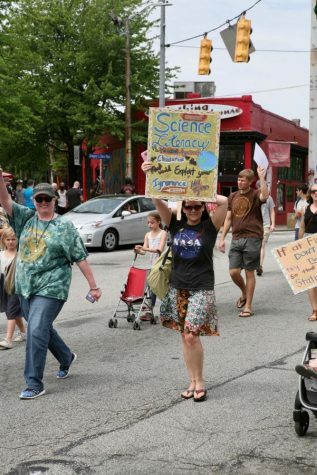 Prominent members of Atlanta’s scientific community spoke at the rally. A young boy walks in the march carrying a sign that reads “There is no planet B”. 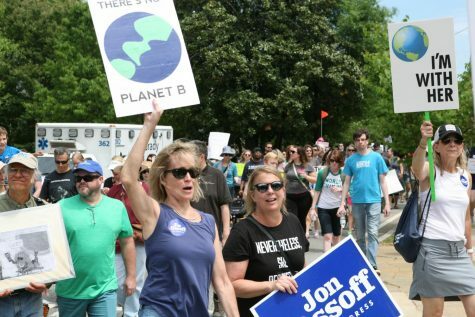 The creativity of Atlanta residents was seen in the march for climate. 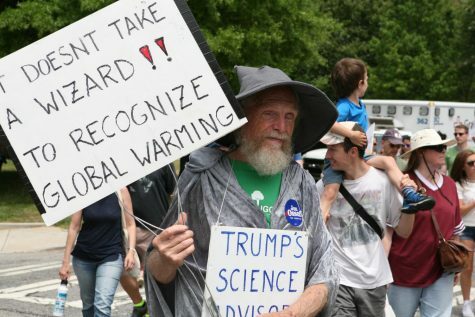 One man dressed as a wizard and carried a sign reading “It doesn’t take a wizard to recognize global warming” and others condemning Trump’s stance on climate protection. 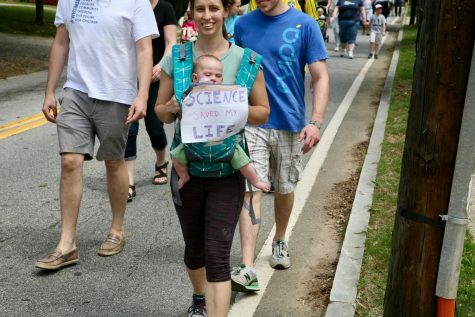 A woman carries her child in the march with a sign stating that science saved her life. 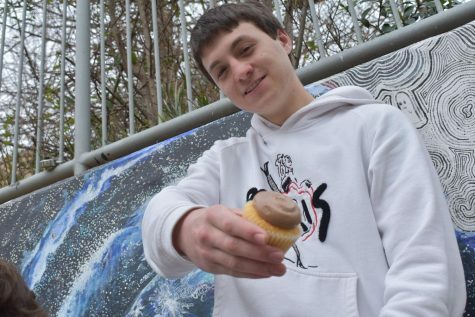 Marchers attempted to shed light on the importance of science and its necessity. 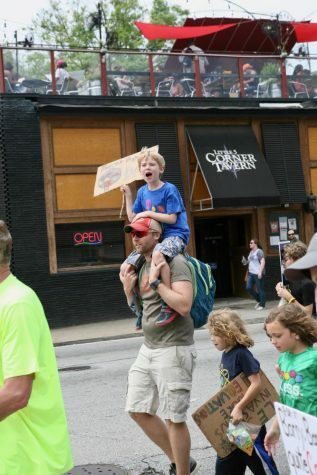 The March continued down Euclid Ave, into Little Five Points, before turning onto Moreland Ave.
A man carries one of his sons on his shoulders, with his other two children walking beside them with signs. A woman in the march wearing a NASA t-shirt carries a sign quoting Nel Tyson. Many in the scientific community fear that NASA will suffer from budget cuts under the Trump administration. 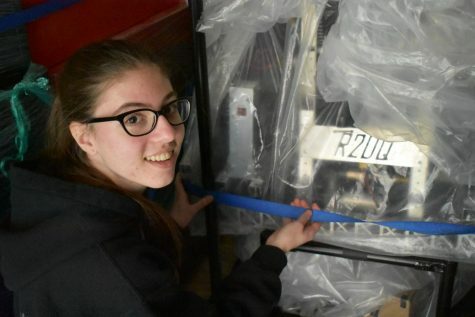 The march’s overall purpose was to shed light on the importance of science in American society and policy. 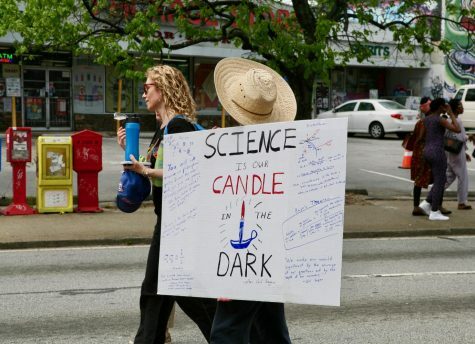 As, too many, science is “a candle in the dark”.